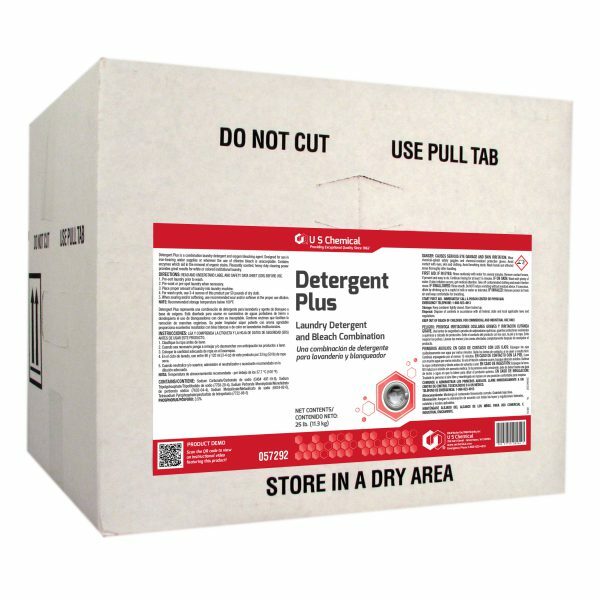 Detergent Plus is a combination laundry detergent and oxygen bleaching agent. Designed for use in iron-bearing water supplies or wherever the use of chlorine bleach is unacceptable. Contains enzymes which aid in the removal of organic stains. Pleasantly scented, heavy duty cleaning power provides great results for white or colored institutional laundry.